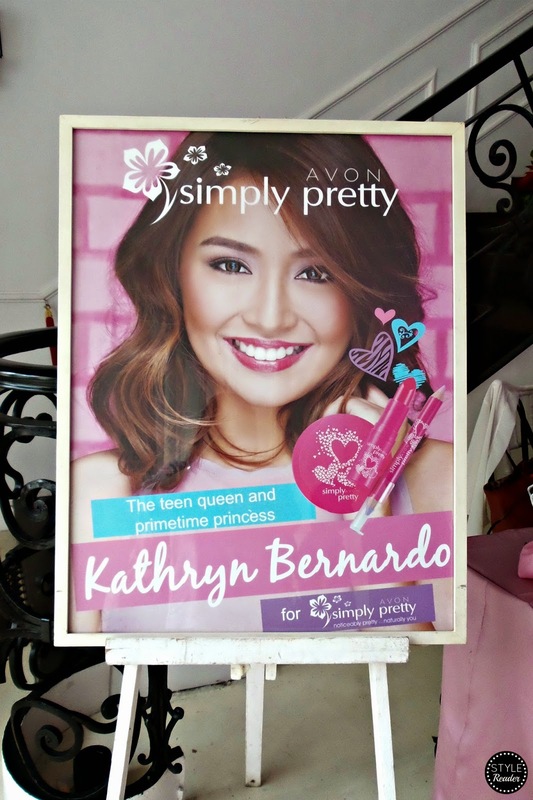 Last February 03, I was able to attend another awesome Avon event which will launch the new face of Simply Pretty, Teen Queen and Primetime Princess, Kathryn Bernardo! I'm sure all of Kath's and Kathniel fans rejoiced when they heard the news! 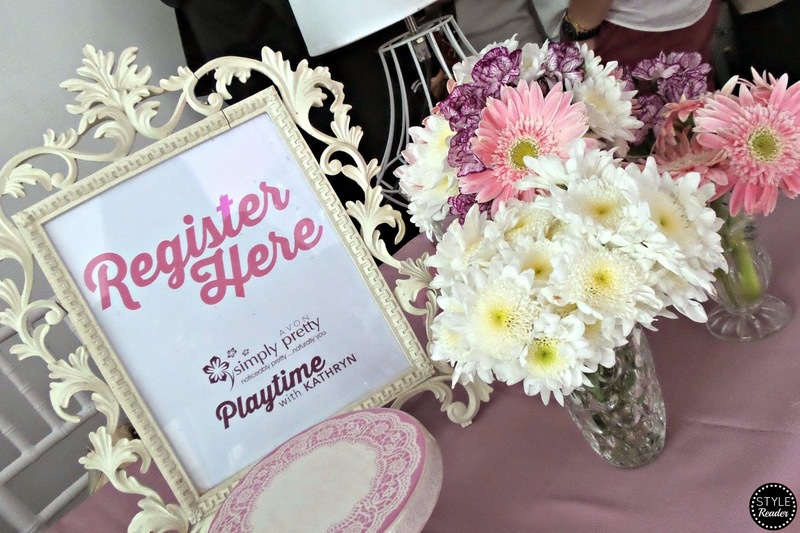 Since the theme was playtime with Kathryn, some Simply Pretty samples were placed on the tables for the guests to play with or to try on. There was also a wide space in another area for an activity that you'll see later on. 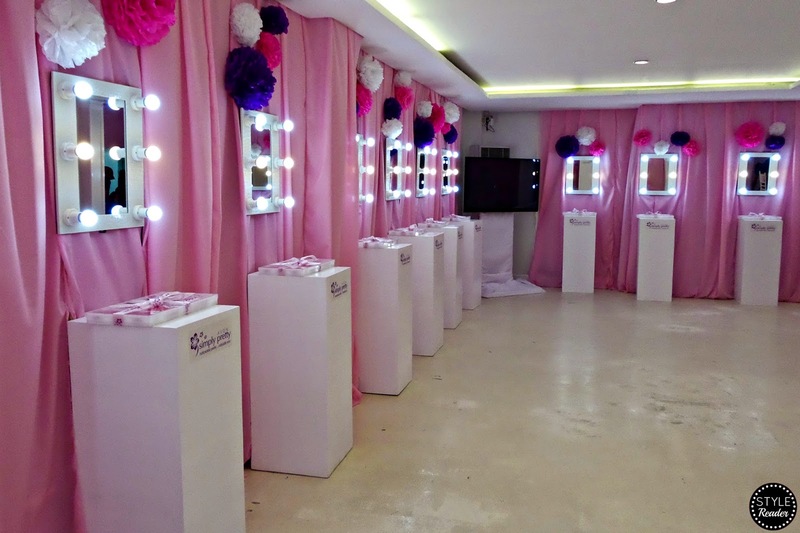 Each mirror has a stand below, on top of which was a set of Simply Pretty makeup. Not just a set, but all it's variants--from different shades to collection. You name it! Here is the limited edition lip balm! 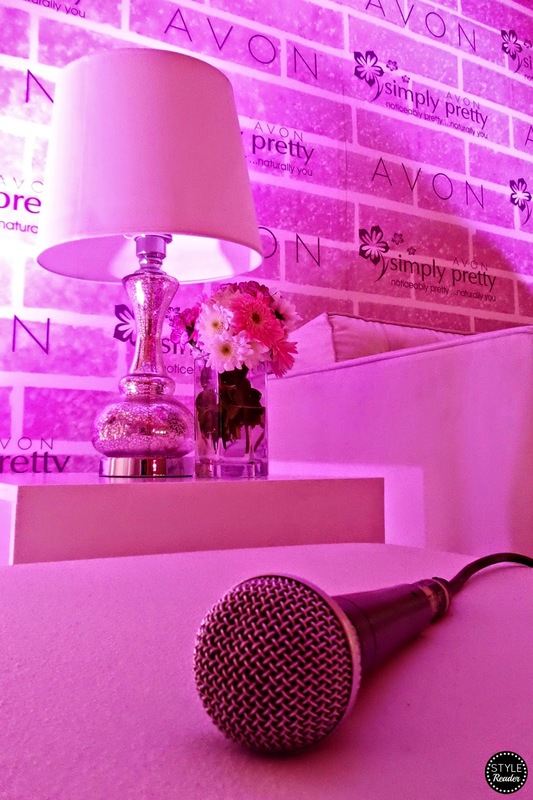 Aside from the media and bloggers, there were also some Avon Representatives, plus the meet & greet winners of their Power of Two contests. It was evident that they were all giddy and excited to not only see Kathryn in person, but also to interact with her. She came out greeting everyone with a smile, said hello, and waved to the small crowd. She was all glam up and clad in pink to represent Avon. Clearly, she was blossoming into a beautiful lady. I'm sure all her fans will enjoy these set of photos coming right at ya! She talked to everyone without hesitation, took selfies with her fans for souvenirs, and was even so game to do some wacky photos with them. You can approach her easily that even I was able to take a video message for my friend. After the meet & greet, everyone was invited to the other room for the mini interview and for lunch. The brand explained why they chose Kathryn. 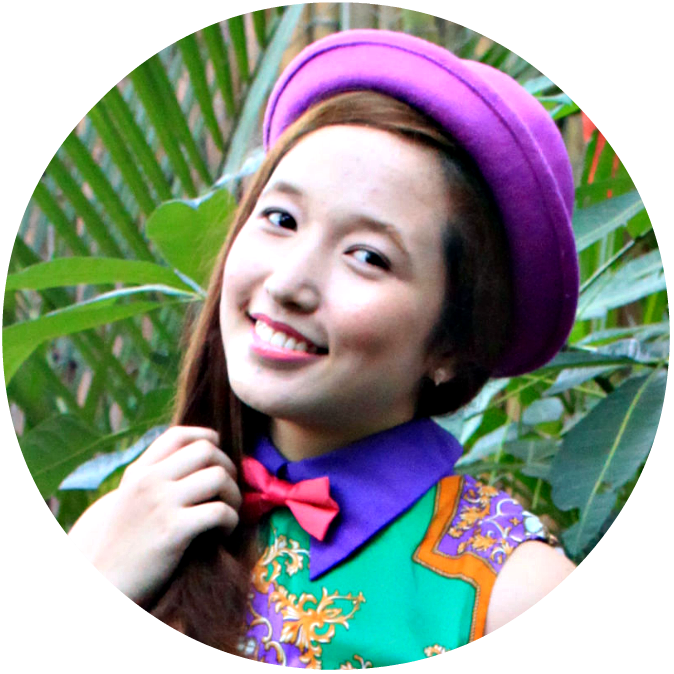 She is very young, stylish, and a lot of girls look up to her. Why? Because aside from her talent in acting, she also glows and shines with her very natural and effortless look which is what Avon Simply Pretty also believed in. 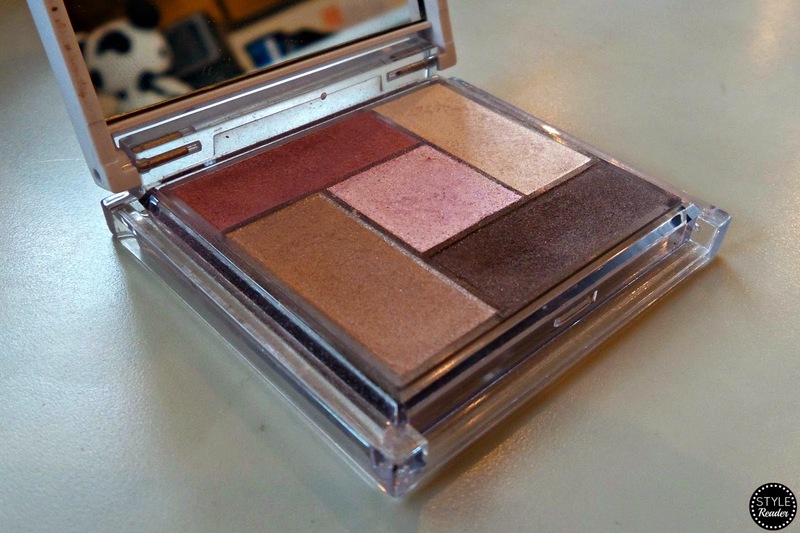 The line's goal is to help you enhance and embrace your natural beauty. 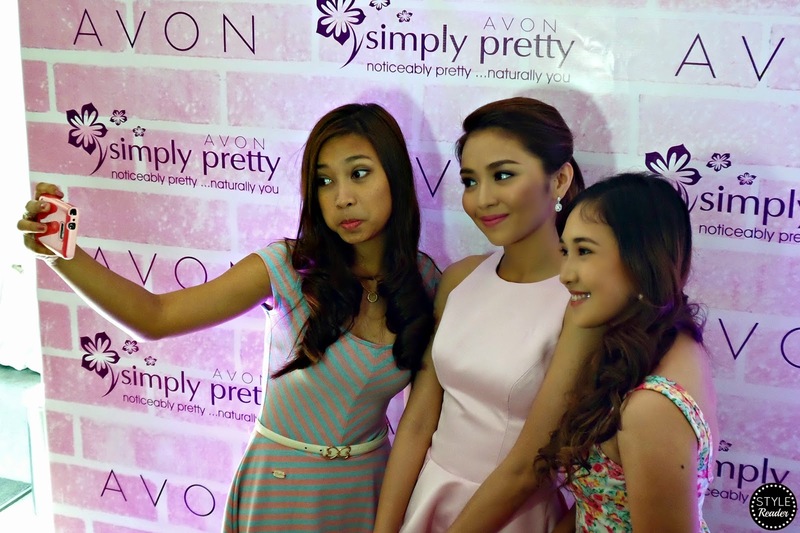 Kathryn also shared that she is an Avon user. Ever since she was a child, she already know of the brand through her mom. She let us in a secret that she used to try on some of her mom's lipsticks. That's why she believed in Avon's mission and loves the products herself. 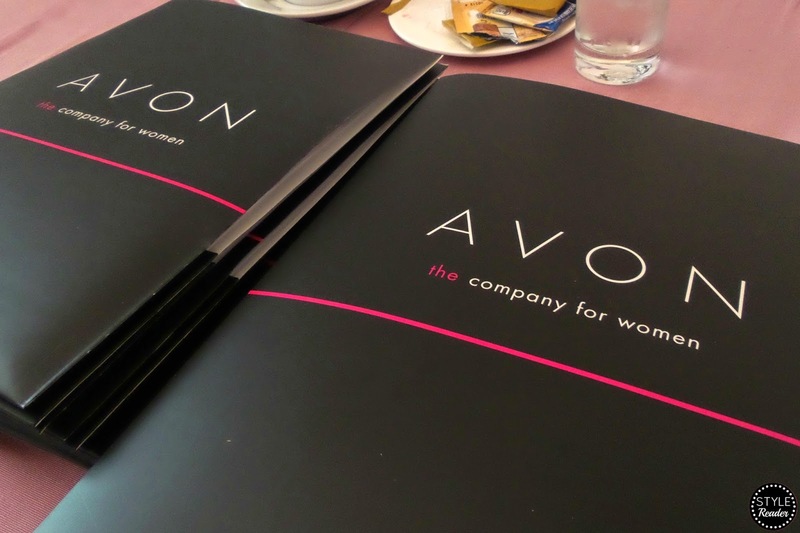 After the interview, Avon had an incredible surprise for the bloggers. 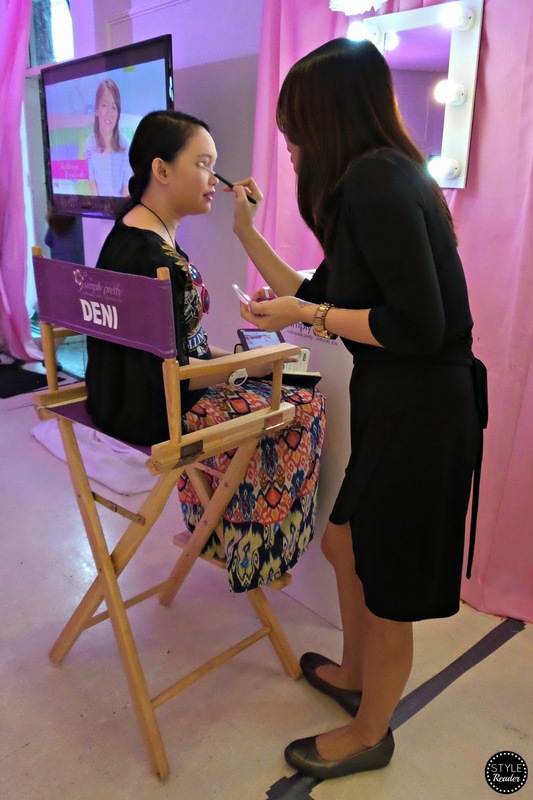 They got to try on the Simply Pretty makeup collection, have their own makeup set, have a makeover from the makeup artists assigned to them, and last but not the least, they got to take home their personalized chairs! How cool was that? 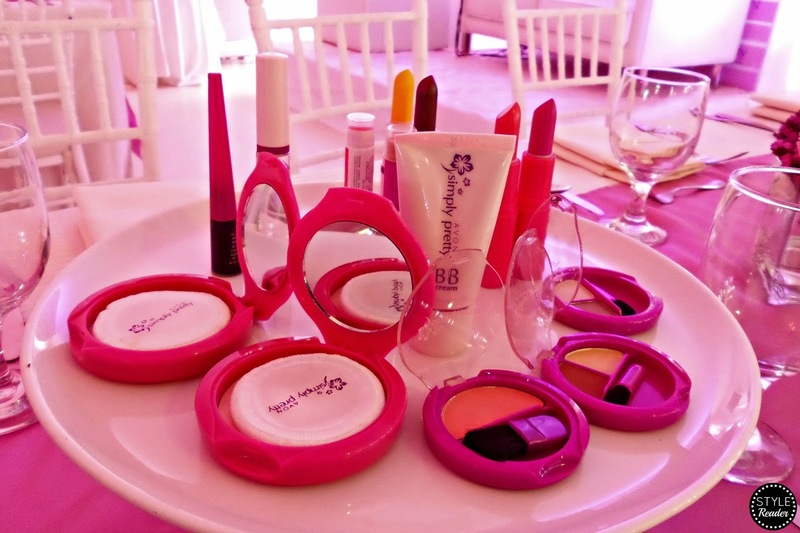 Kathryn also went around the makeover area to look at some of the products and shared some of her favorites item to use. She even tried to put lipstick on one of the guests. She also tried a few herself. 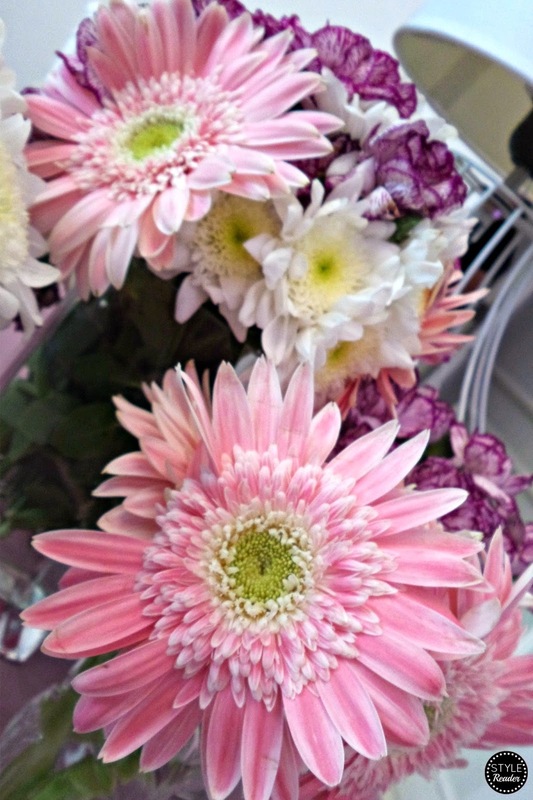 Hope you enjoyed this photo diary! MORE THAN A MILLION COPIES IN PRINT! 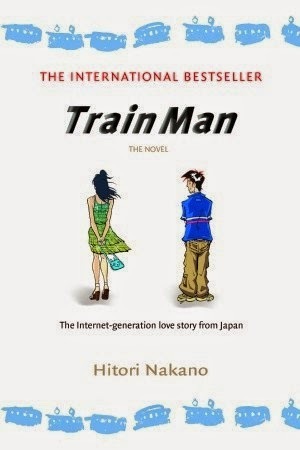 An instant bestseller when it was first published in Japan, Train Man became a multimedia sensation, generating a smash-hit TV series, a blockbuster film, and multiple manga series. Now here’s the novel that started it all. Before I start my review, have you ever consulted the World Wide Web to help you with your daily woes, most especially your love life? I'm sure you would have read articles from Elite Daily or Thought Catalog to relate to some but perhaps not to really seek advice because that's what your friends are for, right? But would you imagine yourself posting it on a thread online and probably get some decent advice? I don't know for sure because I haven't tried it but a story of a guy in a similar situation went viral when he asked random people with the same interests (e.g. games, animé, etc. 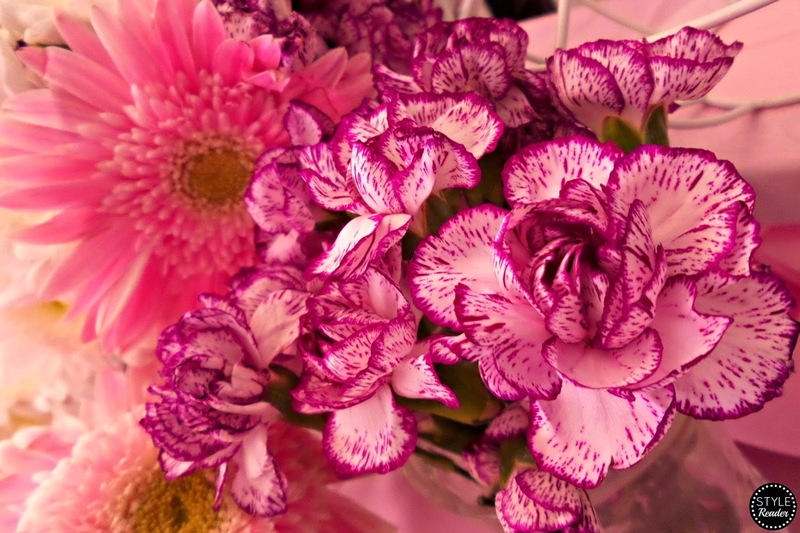 ), and disposition in life, on how he can pursue this girl he met on an eventful train ride. That's what happened in this book, Train Man. It was my first time to read this kind of book and a story written by a Japanese author (please don't judge me!). I would always find myself looking at Haruki Murakami's books but I keep telling myself that there will be a right time for it. Maybe in the future. I'm sorry, I'm just weird like this. Anyway, good thing my friend, Nike of The ElectroMagnetChick pushed me to read this book (Thank youuuu!). I like it! It was entertaining and funny! I like the geeky humor that transpired all through out the book. At first, I was worried that it might get draggy because of the writing style but it was actually interesting. There was a whole chat box or thread thing going on. It felt so real because of all these drawings that were made of punctuations and symbols that created emoji-feels pictures that worked as responses to statements. My favorite was whenever they go military talk to each other whenever they are anticipating some events. I also found myself waiting on what will happen next to Train Man's story, and if he will be able to achieve his only goal. It felt like I was one of The Geeks, Train Man's online friends, that were all giddy, nervous, and excited all at the same time, plus proud of him for all the changes, the courage, and the maturity he was able to acquire along the journey. I guess, what I like about it is that it will bring hope to those who can relate to Train Man's situation, plus the fact that there are a lot of people out there who are willing to listen, to help, and to cheer for you when you're down. We just don't know it. I'm giving it 4 stars because it did entertain me and made me laugh. It's been a while since I read a book that made me smile. 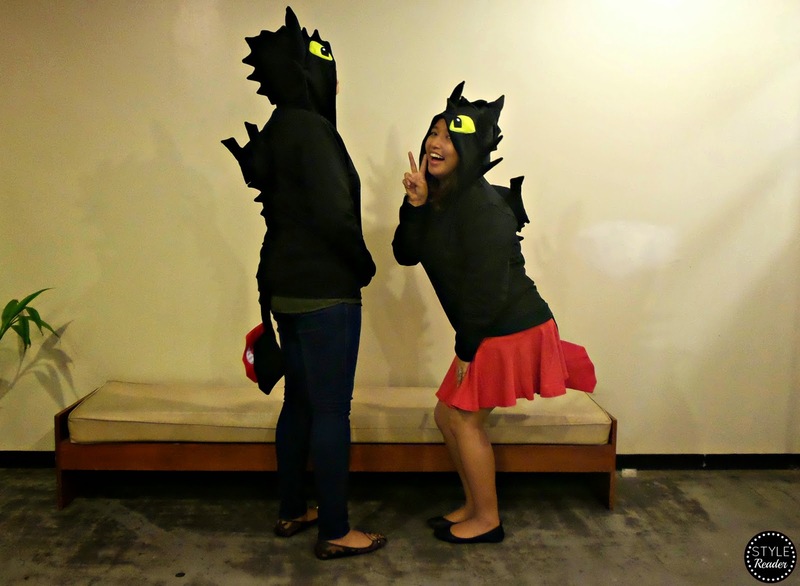 Authority Hoodie released a Night Fury hoodie after the premiere of How To Train Your Dragon 2. But at that time, it was too late for me to order one. 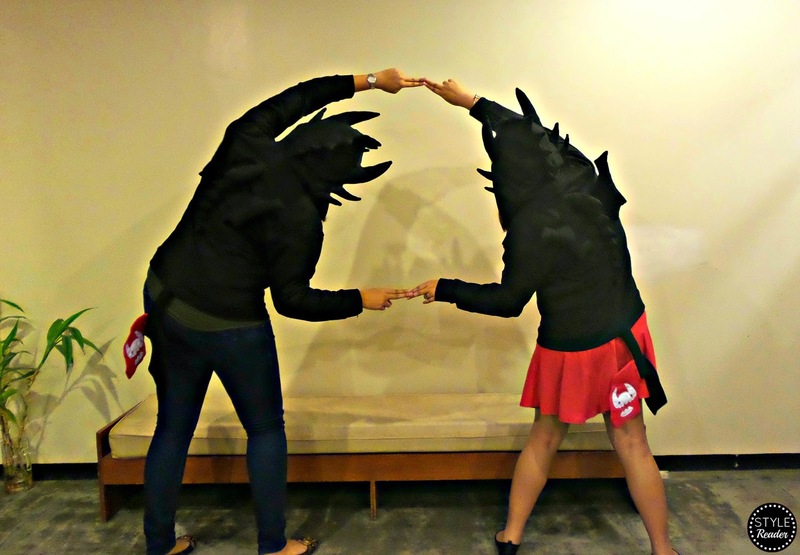 Now that they released a more updated version, my friend, Nike of The ElectroMagnetChick and I placed our reservations immediately! 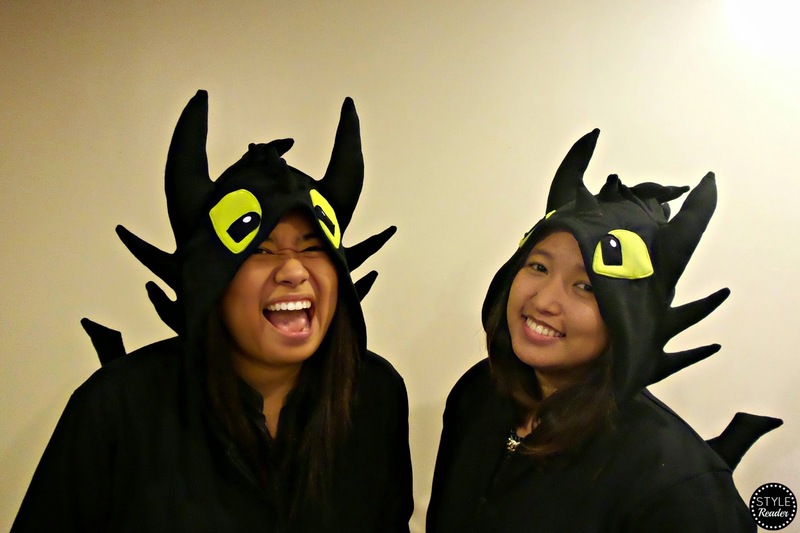 It arrived early February and we couldn't stop ourselves from strutting our Night Fury selves. 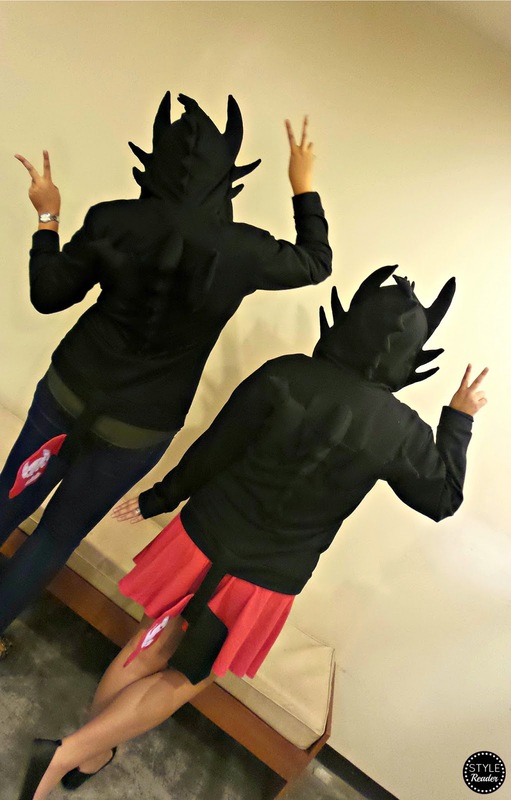 I tell you, we had a lot of #selfies and #ootds that day, and some of our friends joined in the fun, too! 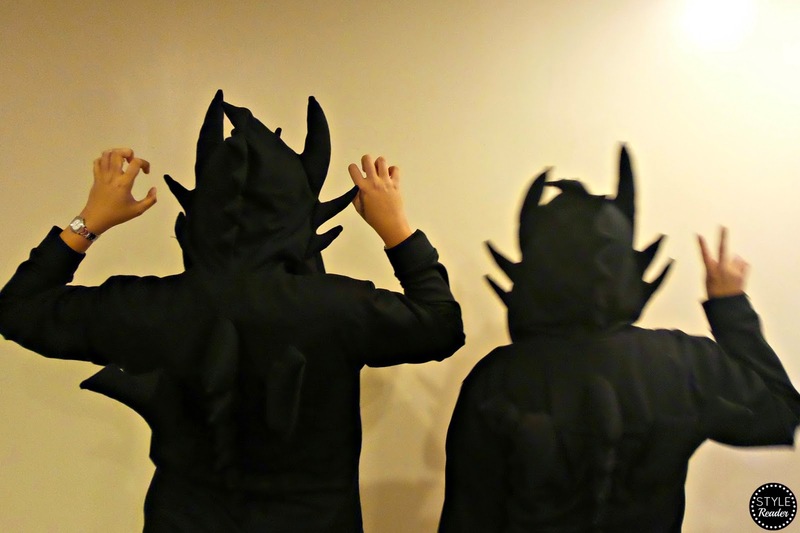 The hoodie has a pair of green eyes on the hood, horns, spikes along the back, little wings, and Toothless' trademark tail! Cool huh? 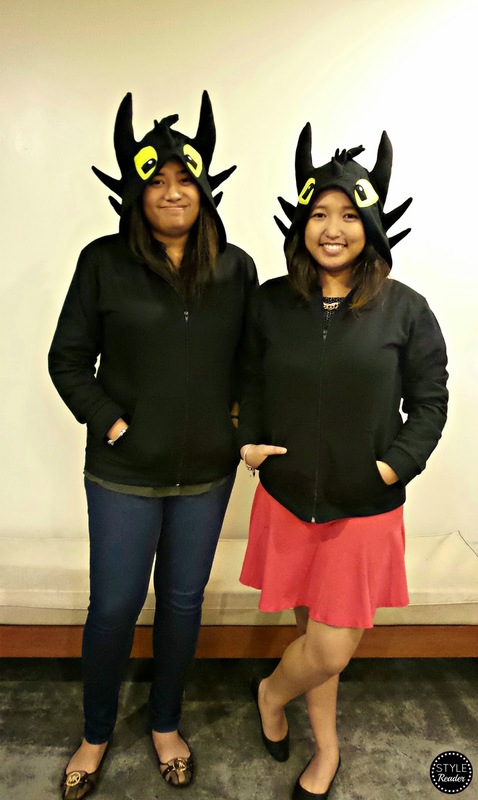 Here's a Toothless fusion from us! Katie Lennox wishes her parents were still alive. Having to leave Boston to live with Grandma Cleaves in London was hard, but she's making new friends, working on her British accent and even learning some Cockney rhyming slang. London's cool and actually feels like home in some ways, like she's been here before, belongs here. 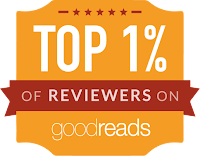 Finally, I'm going to share with you my first book review of the year! Yay! Hopefully, it's not the last. 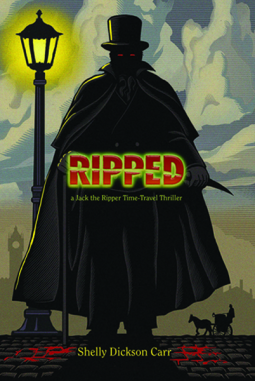 Shelly Dickson Carr's Ripped is based on the reign of terror by a mysterious serial killer dubbed as Jack the Ripper. He was known for committing brutal murders of young women through slitting their throats, mutilating their faces and genital-area, and evisceration of the internal organs. Clearly, it was a horrifying event during the nineteenth century. Despite this, it made Jack the Ripper the most famous serial killer to date. Until now, the identity of Jack the Ripper remains a mystery to everyone that many writers are pushed by their curiosity to write and wield the facts to create their own versions of the story. Hence, this book. I have to say that it was pretty interesting. I love novels that explore the past because it helps me picture out what it's like to live in the past centuries. Putting my self in the shoes of the protagonist, Katie Lennox, I would've also had a hard time adjusting to a society with norms and customs that are quite different to mine. I would've been clueless and panicking the moment I realize I'm in a different time. Ripped intrigued me. I was so excited to read how it will turn out, who is Jack the Ripper, and if Katie can stop him. The murders were written spot on that I was able to imagine every single one and found myself having goosebumps at some point. It made me mentally nervous and scared for my life if I really did live in that time. I also find the Cockney slang very entertaining and challenging at the same time. It thrilled me to figure out the words by myself and hey, I learned something new! The plot was well-written and well-researched. But I just wish that it wasn't that long. I think there were more or less sixty chapters and 509 pages. It got a bit draggy when I reached the middle and I felt like it was endless. I really appreciate the explanation towards the end on how the story was created, why some famous authors were present and how they were involved, etc. I also love the Harry Potter references! 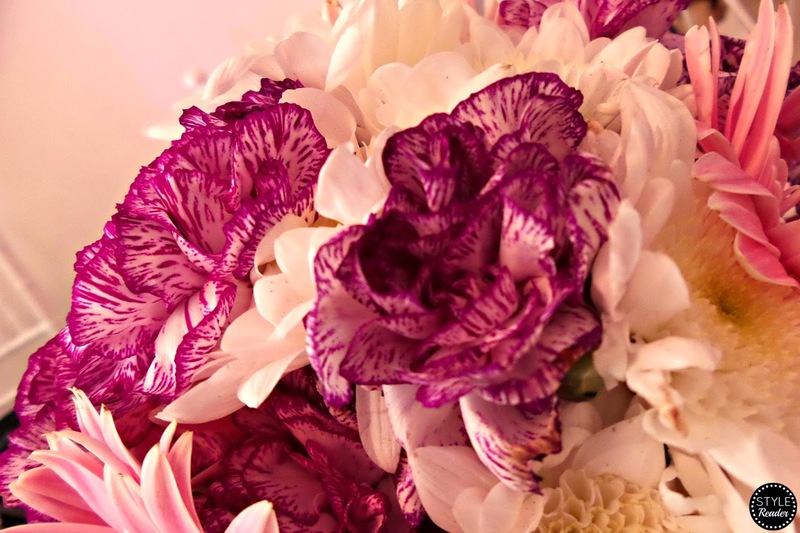 Cheers to you, Shelly! I think she is a Potterhead! Yay! Overall, it was a very good read especially to those YA readers who love mysteries and historical fiction. Add this to your reading list of Jack the Ripper-related novels! This is long overdue but I'm moving on to greater heights! You're reading it right! I finally have my own domain! Well, it's about time, right? 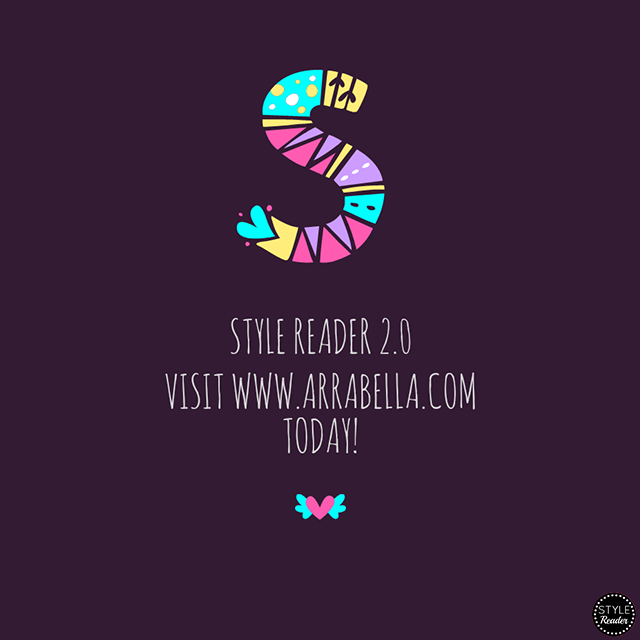 I'm waving goodbye now to arraabella.blogspot.com, and saying hello to www.arraabella.com! I cannot contain my happiness!